We could have put in 10 websites, but that would have been such a predictable listicle. Today’s world is one in which we can’t buy into anything before we Google it. That’s true for events as much as it is for any other product, service or cause. Any potential attendee’s experience of your event starts with their first visit on the event website. Sure, it’s relatively easy and cheap to create a website these days, but to design one that truly reflects the identity of your event and gets people excited for that shared experience, that’s a different story. If we had to limit our list to one single example of great commitment to expressing an event’s identity through its website, we would choose Belgian KIKK Festival. This is not just a website, it’s interactive storytelling. 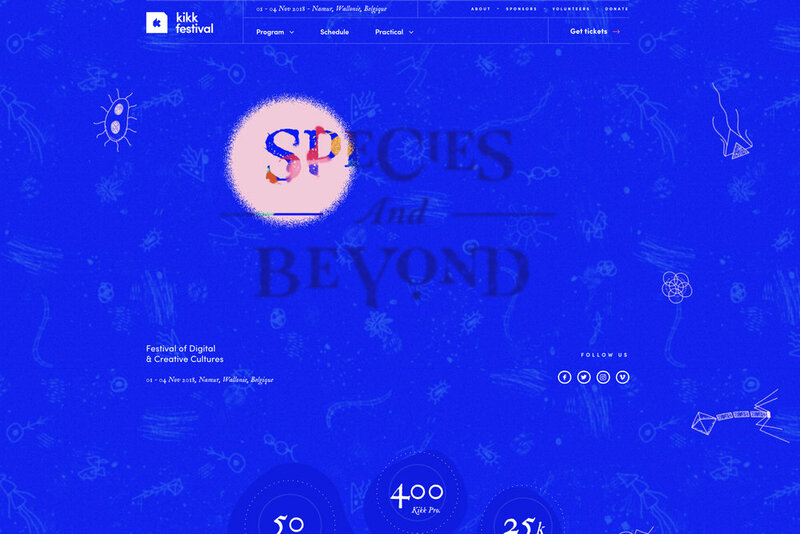 See how their theme (Species and beyond) is illustrated throughout the website’s interface, with the cursor seemingly uncovering details of the KIKK universe as if under a microscope? And that’s not all: look at their 2017 or 2016 edition to discover how they reinvent themselves to tell a new story every year. What we like about the RARE website is that it’s offbeat and raw, just like the people they’re looking for. That’s what they focus on in their communication: defining the audience they’re serving (“creative minorities”). There’s little to no imagery and color, all the space being dedicated to explaining the event’s mission. Real talk. We dig! Unlike RARE, Us By Night’s website is all about imagery. There’s so much happening on there, you don’t know where to look first. It’s meant to shock your senses, just like the event itself does. For one, it happens at night, which is uncommon for a professional event, and it offers a proper theme park of experiences, exhibitions, installations, arcade games, tattoo shops and everything in between. It’s hard not to get excited, and the website does a great job in boosting that feeling. An Interesting Day is–true to its word–a really interesting event, not because it’s the millionth edgy design conference this year, but because it was hosted in an actual-school-turned-nightclub. The agency behind the event, Dutch Bakken & Bæck, built on the school idea by creating an environment where playfulness and fooling around was encouraged, just like kids would play in a schoolyard during breaks. The website communicates that vibe by using child-like illustration and a simple grid layout, with very basic styling applied to text and design elements. It’s almost like it nudges you to color inside the lines–and outside too! This website is great because it’s about a commercial brand–Lush Cosmetics–and yet you can barely see any of their products. You can feel them, though. One of Lush’s flagship products are the colorful bath bombs. Now, don’t you agree that whole website looks exactly like a perfumed, glittery bath bomb would feel in your tub? The community behind this event, Ladies Get Paid, is unapologetically bright and girlie, vocal and bold. So is the website of their annual event. Similar to the RARE website listed above, it’s the audience who takes center stage here. Throughout the website, the ladies who define this community are featured in all their candor, and the community feeling is strong. It’s the feeling of belonging and of trust. What more could you want from a gathering? 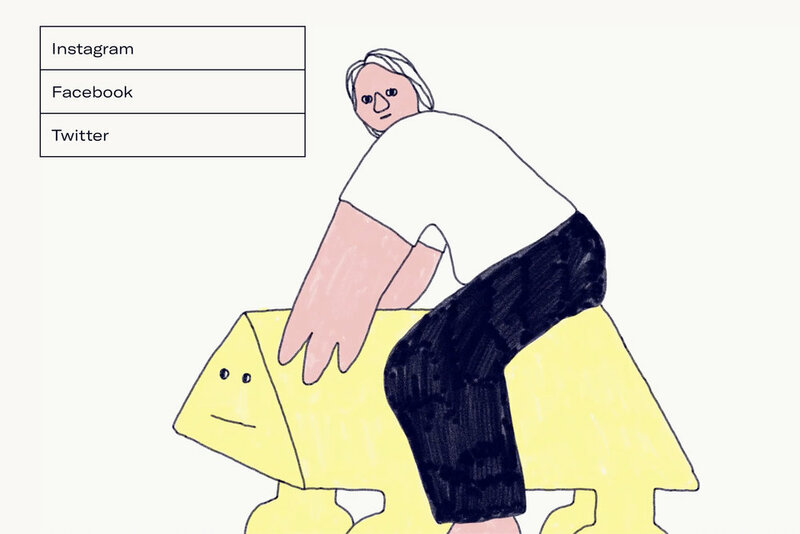 These guys have an unfair advantage in this list, Awwwards being an organization that explores and recognizes the best websites in the world, all year round. But they still manage to surprise us with buttons turning into hotdogs and mustard splashing all over the screen. Likeminds’ website delights with elegance and subtle metaphors. With only black and white images and simple design they manage to communicate diversity and the beauty of unexpected encounters. They’re not trying to convince you how cool they are, yet somehow all you want is to be there. This quirky conference happens in “little big Malmö”, Sweden every year. With each year, the event becomes more diverse, just like its host city–who aims to become the world’s most international city. 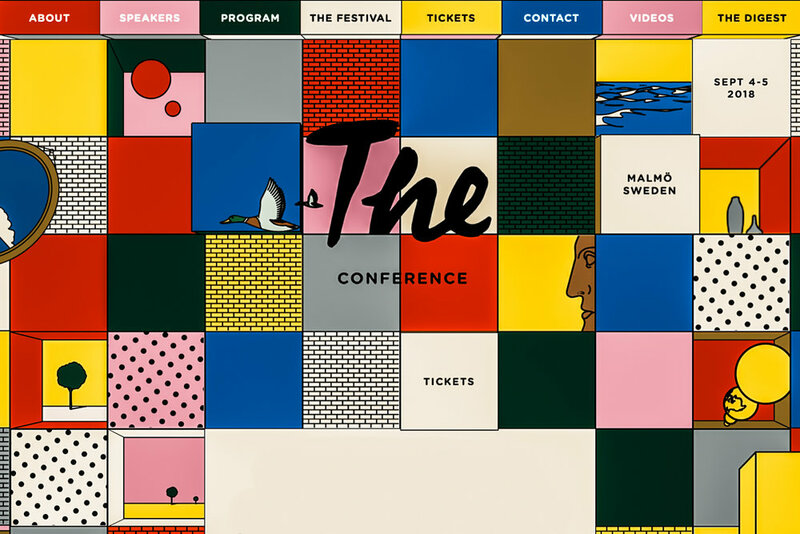 The lively identity of the small, yet big-hearted city is embedded in every single aspect of The Conference, including the website. We love everything about it! Full disclosure: we actually attended The Conference this year, and wrote a review about it. Your own project and community will always be the best inspiration for your event website. So start creating it right away, with Conferize.